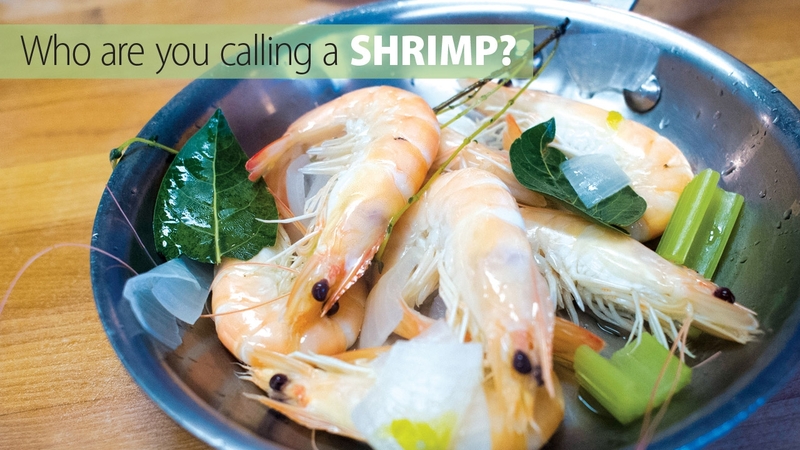 UAB - Magazine - Who Are You Calling a Shrimp? Superjumbo shrimp—some nearly the length of an adult human hand—grown in a UAB lab could provide one solution to feeding the world’s growing appetite. A research team led by UAB biology professor Stephen Watts, Ph.D. (pictured below, at left), made this giant leap by developing a polyculture system, in which sea urchins provide food for the shrimp through their healthy, nutrient-rich waste pellets. The shrimp grew larger and faster than they did on traditional feed. • Learn more about the research under way in the UAB Department of Biology. • Give something and change everything for UAB biology research.